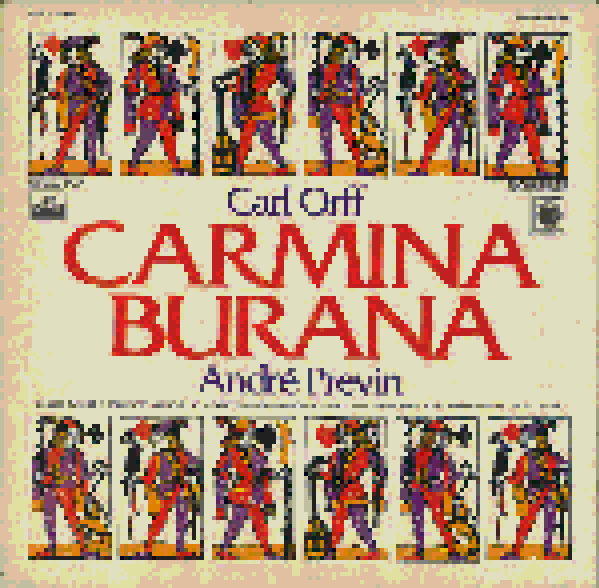 Written between 1935 and 1936, Carmina Burana is a scenic cantata based on a book of medieval poetry. This was a hugely important piece of music to me growing up. I’d like to say that it wasn’t Ozzy Osbourne using O Fortuna as his entry music while playing live that got me interested in this piece of work, however, I would be lying if I said that. Later in life I would see this performed live at the Lincoln Center in New York City which would rekindle my interest in this piece of music and allow me to explore the other two works of this musical trilogy: Catulli Carmina and Trionfo di Afrodite. Working with large orchestral works tends to make the sounds of the NES resemble the sound of organs. Layering all the tracks over one another is often reminiscent of a work heavy with synths. I tried to keep these as 8-bit as possible but there’s so much going on with the layering and the dynamics that either I am desensitized to the 8-bit sounds or it loses a little of that NES feel to it. Click above to listen on YouTube or . . .